Each day, business owners are working hard for the money. You focus on your products, customer service, ways to gain more customers and so much more. While you are focusing on growing your business, someone is out there focusing on taking your money! It is sad but true. So far this year, the Rolla Chamber has been contacted by about 9 different companies that were scamming local businesses. When we learn of these potential scammers, we do everything we can to protect the business community. We contact the company directly to get the information. We also set them straight when they start lying about working with the school, a Chamber, or whoever else they say they are benefiting. We investigate the business on the Better Business Bureau website. Most of them do not have a good ranking. They also typically have a lot of complaints filed. We even Google the businesses to see what we can find on the internet about them. We send an alert out to the business community letting them know what we have found out and who to beware of. For us to help you know of potential scams we need for you to let us know when you have been contacted by these businesses. Get as much contact information as you can and then call our office immediately. We will take it from there and warn the rest of the business community. 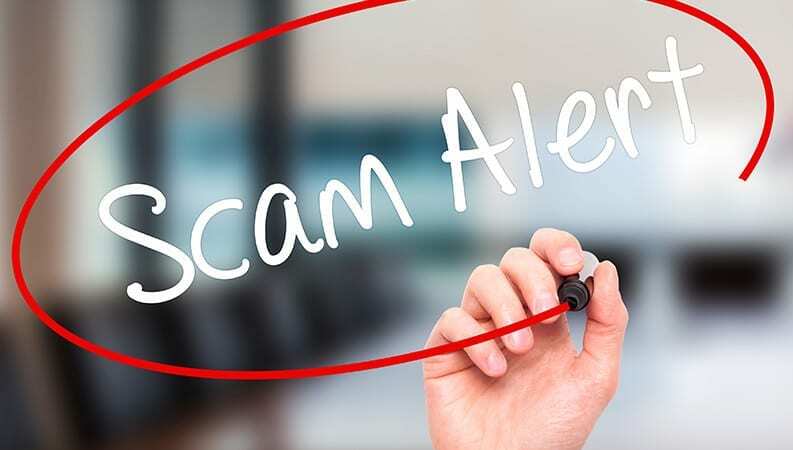 Here is a link to an article from the Better Business Bureau, giving a few tips on how to avoid scams. Take a moment to read and remember to do your research before you give someone your money. Whenever you are in doubt, please contact the Chamber office. PreviousPrevious post:Rolla Area Real Estate Report 2018NextNext post:Why Should I Host or Attend a Ribbon Cutting?